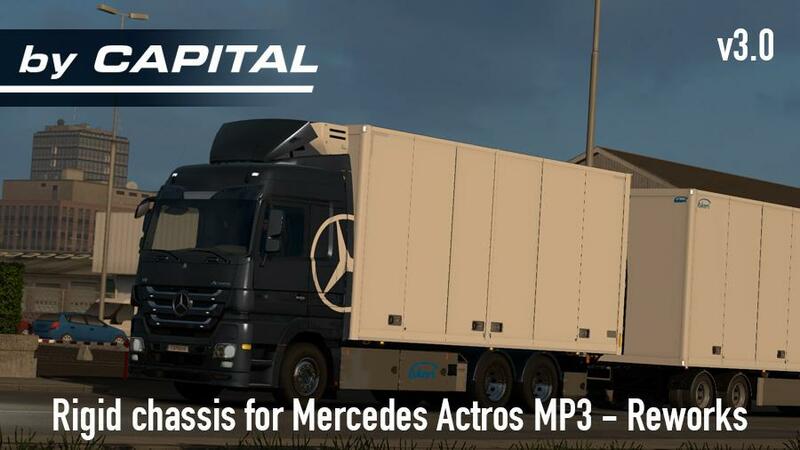 Rigid chassis addon for Mercedes Actros MP3 Reworks ByCapital. The mod is for game version 1.31 and above only! This addon gives you NTM/Ekeri/Kraker rigid chassis for MP3. All chassis has the same tuning options as the original chassis. It also has short spoilers and a day cab exclusive for the rigid chassis. Available cargo boxes are the same as in Kasts addon. 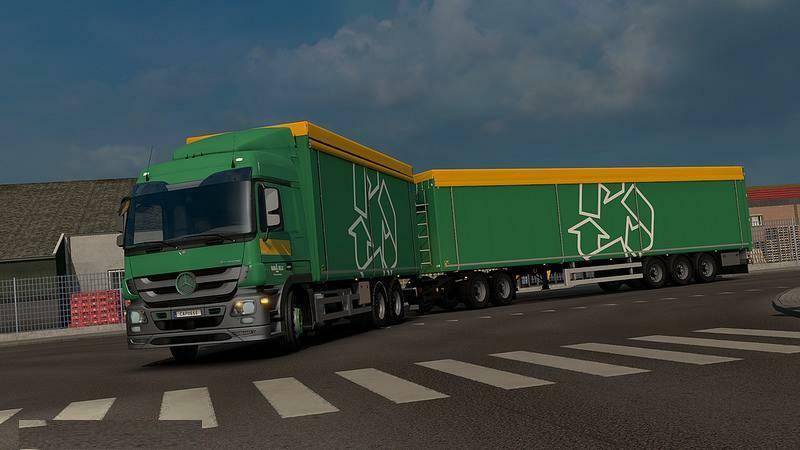 Day cab and Low roof cab also has low distribution boxes from NTM/Ekeri as an option.